A look at the state, from Florida men to the Everglades. 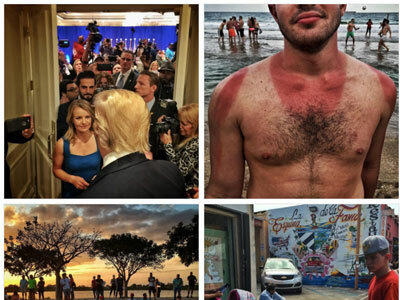 When a publication known for capturing the exotic, the tragic, the sacred and profane of unusual places looks to Florida in the run-up to the primaries, there are really so many ways to take this. But National Geographic already did the comparative verbal play for us. “We often cover wild animals at National Geographic. Now our photographer David Guttenfelder turns his lens on political animals in Florida,” is the explanation provided for the photo series, in which Guttenfelder travels through the hanging chad Sunshine sState depicting the electoral frenzy, as well as the general sense of the state. And an alligator. Although we think many who have stayed firmly inside this country feel the same.